Start your day by rafting the continuous, steep Class IV section of Clear Creek known as Upper Clear Creek. It’ll have your heart racing all morning and you’ll get to enjoy this rapids adventure just 30 minutes west of downtown Denver, Colorado. After a quick lunch break, head to the cliffside for AVA’s mountaineering excursion! The Via Ferrata is a combination of traversing the cliffside, rappelling, a free fall, and concluding your trip by ziplining back down to our outpost. Spend your day venturing through the mountains on with this thrilling combo of activities! 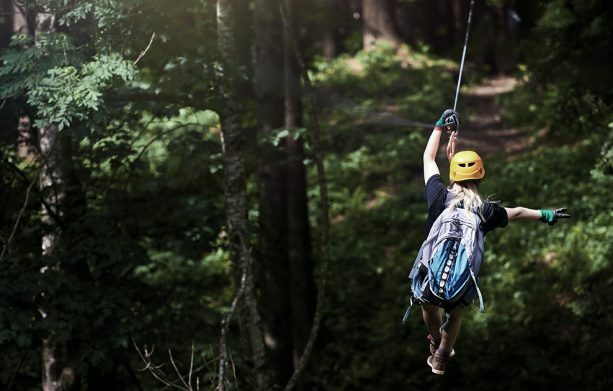 You should know exactly what you’re buying and how much you’re going to spend on a trip, that’s why AVA Rafting & Zipline provides gear lists and suggested items to bring along the day of your adventure. Don’t let last minute charges put a damper on your action-packed day. However, AVA’s trip costs include the price of wetsuit and splash jacket rentals for your outing unlike most other rafting outfitters in state, so you won’t have to sweat about that or the gear for your Via Ferrata trip. Trips run 7 days a week, 11:00AM. "Make sure to put Via Ferrata on your list"
Love new adventures? 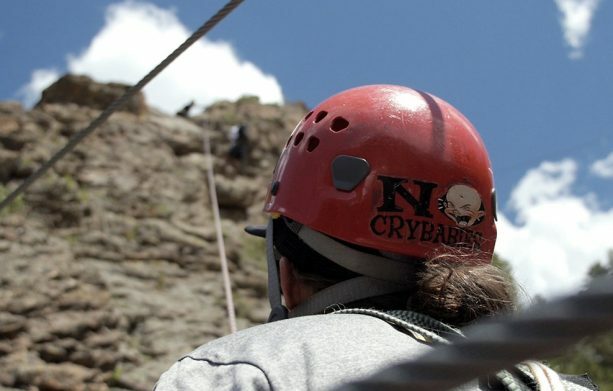 Then make sure to put Via Ferrata on your list while visiting Breckenridge. The team at AVA has an amazing course located in beautiful Idaho Springs off I-70. It is a nice getaway to experience both whitewater rafting in the morning and Via Ferrata in the afternoon. The best part of the trip was the incredible views from the side of the mountain. A great activity for a family or group. Our guides Bailey and Emily were top-notch. Both safe, yet their experience made the trip exceptional. They had fun facts about the surrounding area.